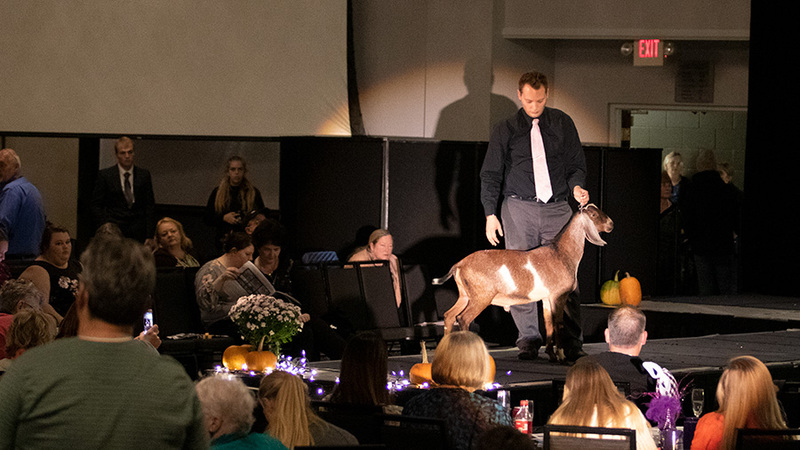 The 2018 ADGA Spotlight Sale was held in Minneapolis, Minnesota on October 20 during the ADGA Annual Convention. To learn more about the sale itself, see the Spotlight Sale page. Make plans now to nominate a Spotlight Sale animal or attend the next Spotlight Sale. The Spotlight Sale nomination forms are usually available by April each year on the Spotlight Sale page. The Spotlight Sale is typically held on Saturday evening during ADGA Annual Convention. For future Annual Convention dates and locations see About Annual Convention.